Dr Slater is a leading exponent of minimally invasive surgical (MIS) techniques, having studied advanced foot and ankle surgery at New York's Hospital for Special Surgery – ranked no. 1 in the US for orthopaedics. MIS is a conservative approach that aims to preserve joints as much as possible. While all types of surgery carry some risks, MIS provides more possibilities in the ongoing management of disease. 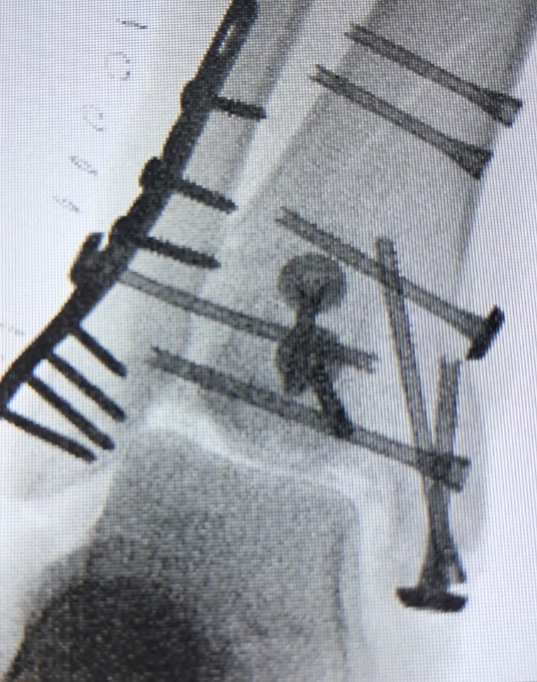 This fracture was successfully treated with minimally invasive fixation techniques. 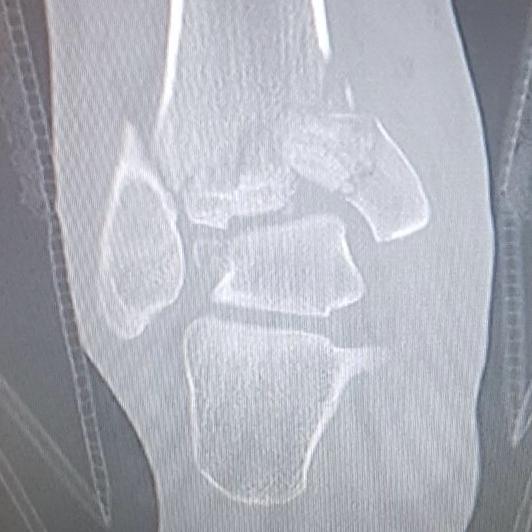 The extent of the injury is clearly illustrated in the X-ray. The same joint, despite the complex-looking repairs, was achieved with a combination of open and minimally invasive techniques.